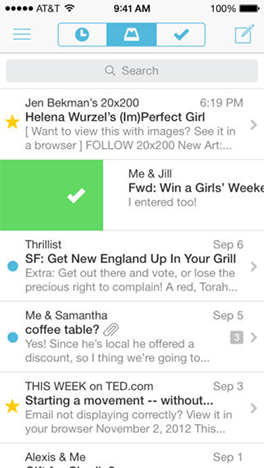 Can Apps make Email better? Inbox Cube enters the fray. 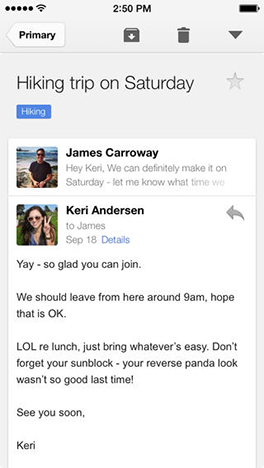 A new email app has launched today aiming to make email a more tolerable experience. Inbox Cube’s main focus is on attachments – and making the experience of handling them much nicer… but can it make old fashioned email a more pleasant, modern, experience? Email has been around for 20 years now, and compared to some of the other communication tools we have at our disposal, like Skype and Facebook, it looks a little old – I mean, you can’t use it to video chat, and there’s no native support for Bitstrips? 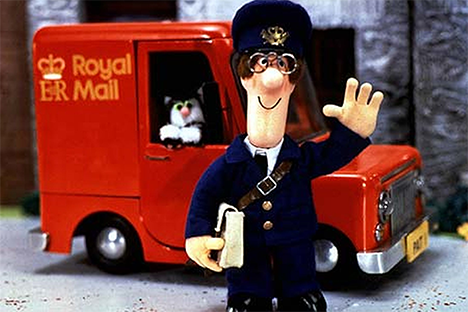 If email was a person, it’d be an 80 year old cotton-loom enthusiast with some not entirely politically correct views with regard to immigration. Not really the sort of person you want to leave in charge of anything. It does have one thing going for it though – universality. Unlike the closed and corporate-controlled modern systems we use, email has no single owner who can decide what is allowed – and even more crucially: everyone uses it. Whilst you don’t need to be on Twitter, and you can (just about) get away with not having a Facebook account – if you’re going to exist on the internet, you need an email address. So can anything be done to make email’s user experience any better? Are there any apps that can make the experience better? Perhaps the first big leap in making email tolerable was the launch of Gmail in 2004 (though it only became widely available in 2007) – which introduced things we now take for granted like threaded conversations, so your emails would not be a great big list but would have some semblance of order. A few years later Google released a Gmail app – which was especially welcomed by iPhone users, who previously had been forced to use Apple’s hideous built-in mail app. One thing that the Gmail app did nicely – and beware, I’m about to praise Google+ – is draw in wider metadata, such as profile pictures – to make your email listing make more sense. Last year there was another revolution in mobile at least email – at least according to our survey (me). Mailbox takes your Gmail account and makes it useful by helping you achieve the elusive goal of “Inbox Zero”. To do this it combines some super-easy swipe gestures (swipe right a bit archive, all the way to delete), with some powerful (“hide this until later”) functionality. If you swipe left, you can choose to hide an email until you really do need to deal with it – telling it to come back on Monday, at the weekend, on a given date, in a month, and so on. And here’s the weird thing: out of sight, out of mind really does work – when you hit zero, even if it an illusion, it feels incredibly liberating! Finally, what about this new kid on the block? Inbox Cube is a new app for managing your email that is all about attachments. With a few taps you can browse through photo attachments like a slideshow, and you can sort your emails by attachment – with previews to scroll through so you can find exactly what you’re looking for. Add in some powerful functionality to go back to the email the attachment is from, and you’re looking at a tool that has made your inbox not a jungle of information, but an organised filing cabinet. Yet this might sound more boring than a jungle, but at least you’ll be able to find that damn photo at last. So what is the future of email? Clearly augmenting the basic function has been done before – but I wonder if we’ll move towards a situation like we’ve seen with SMS text messages, where apps like Google Hangouts and iOS Messages have attempted to subvert the original system – sending direct, richer content, messages without going through the original email system at all? Don’t email us with your thoughts… post them in the comments below! I've tried both Gmail and Mailboxapp both are decent compared to the native iOs mail app. Inbox Cube actually has impressed me. I think I've fully converted to Inbox Cube. I love how its easy to get to all my attachments. Even the push notifications come in faster than Gmail. Whoever is working at Inbox Cube is doing a great job, keep at it!